Tummy Tuck: Want a Flat Belly? Cost, Scars, Recovery, etc. When you look in the mirror, do your eyes go straight to your belly? Is your mind then flooded with thoughts about how you want to see improvement, but everything you try doesn’t seem to work? If yes, you may be a good candidate for tummy tuck surgery. DID YOU HAVE A TUMMY TUCK SURGERY? A tummy tuck, also known as abdominoplasty, is a popular choice following pregnancy or weight loss. A tummy tuck removes excess skin and fat in the abdominal area, improving your waistline and leaving you with a flatter more toned stomach. In many cases, a tummy tuck is combined with liposuction or additional procedures during a mommy makeover to improve the overall results. Tummy tucks are most popular among women who have recently gone through childbirth, since pregnancy can radically alter the physical appearance of the abdominal region. Tummy tuck surgery will tighten the abdominal muscles which are generally loosened as a result of pregnancy. They are also common among both men and women who have recently lost weight, which can leave loose skin as well as stubborn pockets of fat that do not respond to diet or exercise. At a stable weight, less than 30 pounds over your ideal weight. Have extra abdominal skin, muscle weakness or both. Do not plan on becoming pregnant. Properly informed about the procedure and what to expect. Suffering from serious medical conditions such as diabetes, heart disease or other degenerative diseases. Depending on the extent of the surgery, a tummy tuck procedure can take anywhere from two to six hours. There are different types of tummy tucks, which vary in the amount of tissue the surgeon is able to access during the procedure. Traditional tummy tuck surgery is ideal for removing excess skin and fat from the entire abdominal region, from naval downwards. The incision is made from hipbone to hipbone and around the belly button. There will be a scar around the belly button however your surgeon will likely make the incision on the inner edge to make it more discreet. The horizontal scar can usually be hidden by undergarments or bathing suits. A mini tummy tuck is effective for getting rid of excessive fat of the lower abdominal area. 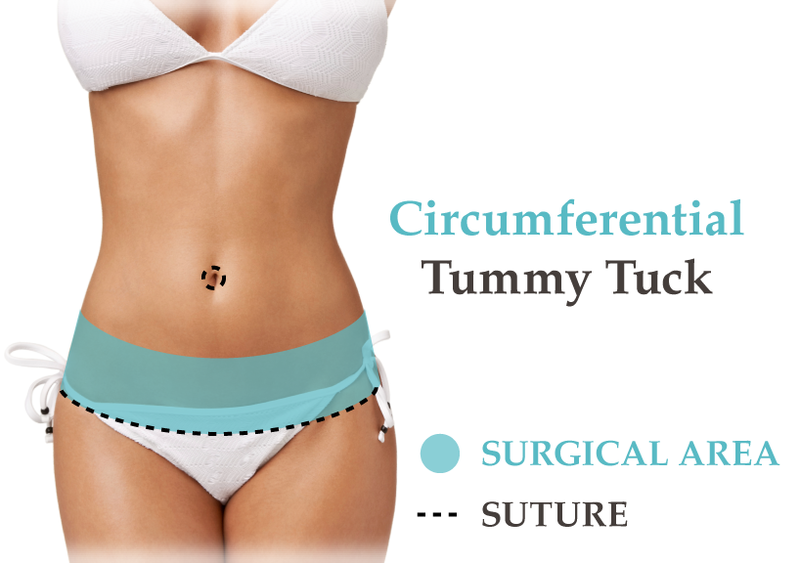 Compared to a traditional tummy tuck, the incision line is shorter and the scar is similar to that of a C-section. The extended technique is most effective or getting rid of the overall fat on your abdomen, flanks and back areas. It leaves a longer scar, but can be hidden by most undergarments or bathing suits. This method addresses everything the extended method does and more. It involves a surgical incision that extends completely around the waistline into the lower back and buttocks. Oftentimes, this approach is used for patients following massive weight loss or bariatric surgery. This method involves removing excess abdominal skin from the upper abdominal area. An inframammary incision below the breasts, leaves scars well hidden within breast crease. This technique can be combined with other breast procedures, such as a breast augmentation using the same incision, for optimal results. Is someone you can trust. Has the education and training needed in plastic surgery. Has performed over a hundred tummy tuck surgeries. Is someone you have developed an excellent rapport with. Ideally has been referred by your gynecologist or other doctor, or a friend who has had the surgery. Is member of the American Board of Plastic Surgery, American Society for Aesthetic Plastic Surgery or the American Society of Plastic Surgeons. 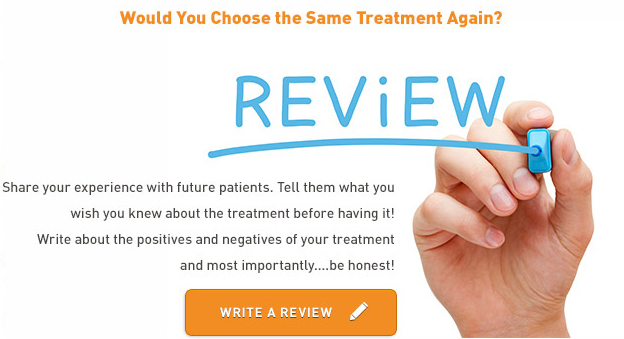 Once you decide on a few different surgeons, it’s time for your initial consultation. During your initial consultation, it’s a good time to get to know the surgeon and a good time for the surgeon to get to know who you are and what your goals are. Your surgeon will ask you a lot of questions regarding your medical condition, health history and your goals for the surgery. What medical conditions are you being treated for right now? Are you taking any vitamins or minerals or herbal supplements? Have you ever had any other cosmetic procedures? What is motivating you to get tummy tuck surgery? What type of results are you expecting? Do you plan on getting pregnant? Have you read up on tummy tuck procedures and do you understand them? 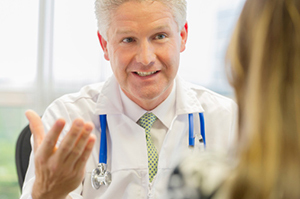 At your initial consultation, your doctor will take photos and do a physical exam. Using computer imagery, he or she can show you the improvements that are expected. He or she will ask you to point to the exact locations on your body that you want improved. They will also evaluate how elastic your skin is because elasticity will affect the results of your surgery. What is your educational background? Do you have any additional training in plastic surgery and specifically tummy tucks? How many tummy tucks have you already performed? What type of technique will you use? What types of scars will I have? How do you handle complications that arise? What types of options are there for anesthesia? What types of options are there for where the surgery is performed? Do you have hospital privileges at the hospital where the surgery will be performed? What will it be like after the surgery? Can I see a book of the before and after photos of your patients? How much does the surgery cost? Are there any extra costs? What is expected of me to get the best results? Your plastic surgeon should provide thorough preoperative instructions as well as postoperative instructions and answer any questions you have about the surgery. Whether your surgery is performed on an inpatient or outpatient basis and whether you stay overnight at a recovery center is based on many variables. The availability of your caregiver at home. Stop smoking. Smoking interferes with your ability to heal wounds and can cause a longer time for scars to fade. Discontinue the use of aspirin, which interferes with clotting. Discontinue the use of anti-inflammatory medications. A list of them will be provided. Discontinue the use of some vitamins, minerals, herbal medications, and nutritional supplements. A list of these will be provided. If your weight is not close to ideal, lose weight. If you have specific lifestyle habits that will potentially interfere with your results, you will be asked to substitute better lifestyle habits for the ‘bad’ ones. Make arrangements for someone to drive you to the surgery and someone to drive you home after the surgery. Make arrangements for someone to stay overnight with you the first night or two after surgery. Preparing your home for your recovery should happen before the surgery, not afterwards. Do you have any young children? Arrange for them to be cared for until a week to 10 days. Check with your friends and family members – find out who can help prepare meals for you. Write out a schedule. You may decide to prepare your own foods, freeze them ahead of time, and thus make it easy for caregivers to help feed you. After the surgery, you’ll be unable to reach for food in cabinets or toiletries in the medicine cabinet. Move these down to a level where they will be accessible, preferably at hip levels. The recovery care instructions will state you are to avoid reaching, bending or climbing. Purchase ice packs to ice the surgical incisions. This will decrease pain. You’ll also need plenty of clean towels to place on the skin so you don’t freeze the skin. It’s best to have a towel layer of three or more towels placed directly on the skin under the cold pack. Then add the cold pack and another towel layer on top of the cold pack. Do all your laundry before surgery. Set up an area on your nightstand for medications. Have enough bottled water on hand. Purchase a digital thermometer and place it near your bed. This will be convenient for you to regularly take your temperature to insure you don’t have an infection. Make sure you have plenty of reading materials and movies to watch during your convalescence. Opt for some funny videos since laughter has been known to speed up healing. Have disinfectant wipes, Kleenex and paper towels within your reach (when you are in bed). Make sure your remote control for the television has batteries that work and are fully charged. You’ll need body pillows and pillows that can prop you up 15 to 25 degrees in bed. A recliner may be used instead of the pillows. The overall goal of a tummy tuck is to remove loose abdominal skin and fat, which results in tighter abdominal muscles. 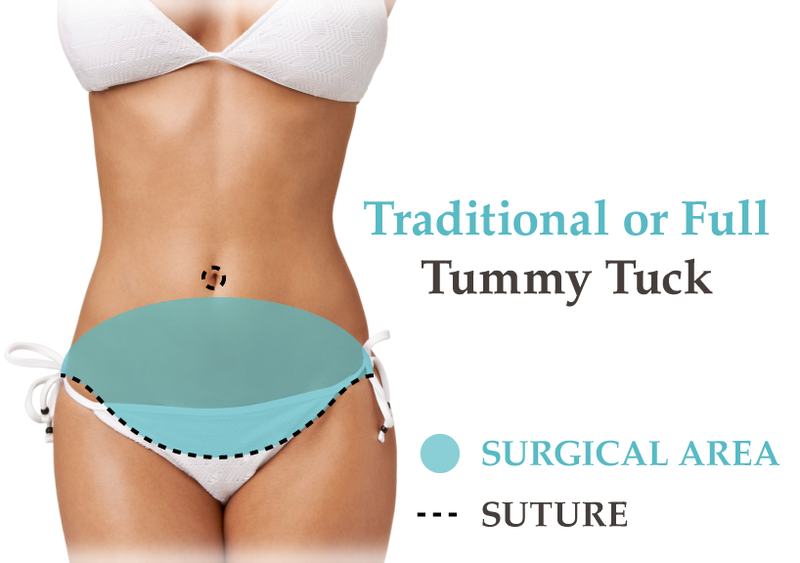 Tummy tuck surgery may be performed in a hospital, an ambulatory facility or a doctor’s office that has a specific suite for surgeries. Your plastic surgeon will be able to tell you how long your surgery will last based on the procedures that will be done. Your doctor will anesthetize you with either local anesthesia plus sedation or general anesthesia. You will then be monitored during the surgery. You will also be monitored for heart rate, blood pressure, and the amount of oxygen circulating in your blood during the surgery. Your plastic surgeon will have a plan of what will be done, step by step during the surgery. After the surgery starts, he or she may decide to change the plans based on what he or she finds. The goal is to give you the best results. Next, the surgeon makes one incision from hipbone to hipbone. The second incision is made to free the navel from surrounding tissue. The navel is not removed with a mini tummy tuck. Working through the incision, the surgeon separates the skin from the abdominal wall all the way up to your ribs and lifts a large skin flap to reveal the vertical muscles in your abdomen. The surgeon pulls the muscles close together and stitches them in their new position. This provides a firmer abdominal wall and narrows the waistline. The surgeon stretches the skin over the new underlying structure and removes excess skin. A new hole is cut for the navel, which is then stitched in place. Finally the skin flap is stretched back into place, drainage tubes are inserted, and bandages are applied. The type of surgical dressings and compression garment you will have depend on the type of procedure performed. After surgery, you will be taken to the recovery room. You will be closely monitored and observed as part of your care. Before being discharged, a nurse or the surgeon will go over the post op instructions with you and your caregiver. Skillful surgeons take every precaution necessary to prevent these risks from occurring. Most of the problems, including infections, occur because of improper care or self care of the patient during recovery. For example, an infection has warning signs such as fever, excessive perspiration, and chills. If these are ignored, an infection will have the chance to destroy tissue. Infections worsen scarring. Healing rates differ based on patients’ individual differences in healing. Generally speaking, younger patients in good overall health heal quickly and without complications. Older patients with health problems heal more slowly. Patients who are smokers always have a higher risk of developing complications. When you wake up after the anesthesia wears off, you can expect your abdomen to feel very sore. Pain relieving medications will decrease the amount of pain you feel. Your surgeon will prescribe an antibiotic as a preventative for infections. You will also have redness, bruising and swelling. These will subside in the first three weeks after surgery during the healing process. The sooner you can reduce swelling after surgery, the better you will be able to see your results of the tummy tuck. Swelling is the body’s response to any type of surgery or injury. However, persistent swelling is not considered a normal part of healing. Your swelling should subside substantially within three weeks of your surgery. Stay hydrated. Drink a minimum of 1 ounce water for every 2 pounds body weight. Stay away from high sodium foods such as luncheon meats, anchovies, salted chips and nuts, and regular table salt. A high salt diet makes your body retain water. Tell your doctor all medications you are taking, since some will affect fluid balance. Gently massage your abdomen to encourage circulation. Use ice or cold compresses to numb the pain. Wear the compression garment as instructed. The compression garment holds the tissues very close to the body, helping the skin adjust to the new contours of the abdomen. It also reduces the likelihood that you will develop sagging or loose skin after the tummy tuck surgery and controls swelling. The recovery period lasts several weeks. Most patients take off two weeks from work, and more if they are expected to perform physical tasks on the job. It’s best to ease back into your normal routine rather than jump back into a full schedule on any one particular day. Limit strenuous activities and exercise for six weeks, especially activities that could potentially injure your abdomen. The different types of tummy tuck surgeries have their own recovery time periods; a traditional tummy tuck takes longer to recover from than a mini tummy tuck. If you are combining procedures together, recovery is expected to be longer as well. Your results from a tummy tuck are visible within about six months. Your results are permanent; however if you gain a lot of weight and then lose it, your results will change. What’s the Cost of Tummy Tuck Surgery? The average cost of tummy tuck surgery is between $6,500 and $12,000. There are many variables that affect the cost which makes it difficult to provide an average that would apply to every situation. Every patient is different, and these variables can result in dramatically different costs. For example, where you are located will have an effect on what you pay. Pricing is different in each city and state, and tend to be higher in metropolitan areas than in less populated regions. The specific details of your procedure also affect the tummy tuck cost. A longer or more complex procedure typically will be more expensive than a less extensive surgery. For this reason, an extended tummy tuck can be expected to be more costly than a mini tummy tuck. Your surgery will also carry a higher price tag if it requires an overnight hospital stay. If your tummy tuck is being performed with another procedure such as liposuction, your fees may be higher because it will include the liposuction cost. Although it is typically much less expensive than having the procedures performed separately. Tummy tucks are not generally covered by health insurance. The only time health insurance covers this procedure is when there are health issues that are corrected with it. To make surgery more affordable, most plastic surgeons offer options for cosmetic surgery. Ask your surgeon about monthly payment plans or other financing options during your initial consultation. Q: Does a tummy tuck remove stretch marks? A: It depends. If the stretch marks are within the area of skin being removed then they usually can be addressed. Q: I know I can’t do heavy lifting after the surgery but what is considered heavy lifting after the surgery? A: You should avoid lifting objects heavier than five pounds for the first few weeks after surgery. Then discuss the topic with your doctor to see if the 5-pound limit may be raised slowly. Always refrain from picking up young children and doing housework like vacuuming and picking up laundry baskets for 4-6 weeks. Q: When is my follow-up visit following surgery? A: Most commonly, you will have an appointment about 5 days after surgery to remove the drains. Further appointments will be scheduled at that time. Q: Is there an age limit for a tummy tuck? A: There is no age limit for tummy tuck surgery, but it is best to do it after you have already given birth and don’t plan on having children or after you lose weight. Q: How much weight can I lose from a tummy tuck procedure? While patients do report losing some weight from a tummy tuck ( 2 to 5 lbs), it’s not considered a weight loss procedure. Tummy tucks address loose skin and excess fat around the abdominal region. It’s not the ideal procedure for patients who are obese or overweight and are looking to dramatically shed the pounds. Q: What’s the difference between liposuction and a tummy tuck? A: Liposuction removes fat cells from many places on the body, however it does not remove excess skin. Tummy tucks primarily focus on the abdominal region and remove both fat and excess skin.